What is a Highview Power plant? Our large scale, long-duration technology can be built from 10MW to 200MW+ power output, with a storage capacity of 40MWh to more than 2000MWh+. This is high powered energy storage with true long duration: the capabilities of pumped hydro storage (PHS), without the geographical limitations. With a lifespan of more than 30 years, our systems can utilise industrial waste heat and cold from applications. Connecting to thermal generation plants, steel mills and LNG terminals can further boost the system’s efficiency and diversify its offering. In addition to providing energy storage, the cryogenic energy storage plant converts low-grade waste heat from the GE Jenbacher landfill gas engines to power. Operation started in April 2018 at Pilsworth Landfill facility in Bury, Greater Manchester. The plant demonstrates how cryogenic energy storage can provide a number of balancing services, including Short Term Operating Reserve (STOR) and supporting the grid during winter peaks. Developed in partnership with recycling and renewable energy company, Viridor, the project is backed by UK government funding of £8 million. Find out more about the Pilsworth plant by watching the video here. 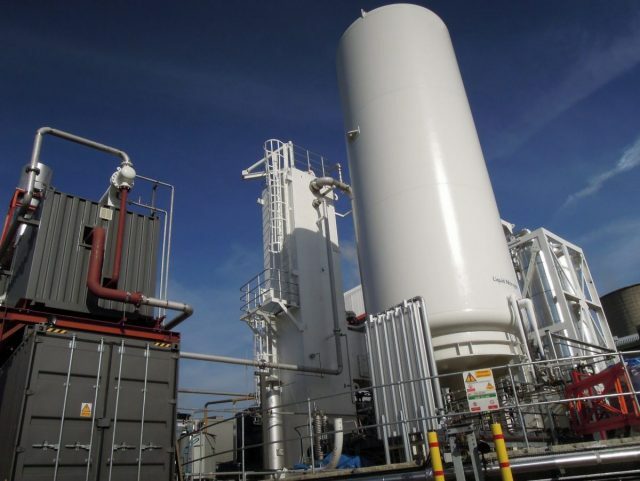 This cryogenic energy storage Pilot Plant (350kW/2.5MWh) was developed to prove our technology and used heat from a biomass plant to improve the efficiency of the system. Between 2011 and 2014, it successfully underwent a full testing regime at SSE’s biomass plant at Slough Heat and Power in Greater London, and has operated for the hours equivalent to three years of UK Short Term Operating Reserve service and seasonal TRIAD management in the winter months. 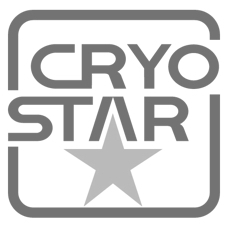 The pilot has now been relocated to the University of Birmingham Centre for Cryogenic Energy Storage, to support further testing and academic research. Our storage technology works as a standalone system with the option to increase efficiencies further by utilising either waste heat or cold, or introducing a hybrid system for fast response. If there is a waste heat stream available, a Highview Power plant can utilise this during the discharge of the system. This improves the round-trip efficiency considerably, and potentially reduces the CAPEX of the cryogenic energy storage plant by not having to harvest our own waste heat from compression during the re-charge of the system. Cryogenic energy storage technology is a thermodynamic process and can harvest waste cold and make use of it during the re-charging phase. During the re-charge of the liquid air tanks, the waste cold is used to reduce the amount of work the refrigerators have to do. The effect of this is a reduced amount of power consumption during re-charge and a higher overall round-trip efficiency. Fast response can be added to a Highview Power plant by adding flywheels or supercapacitors. This enables the plant to respond to grid frequency events within 1 second. 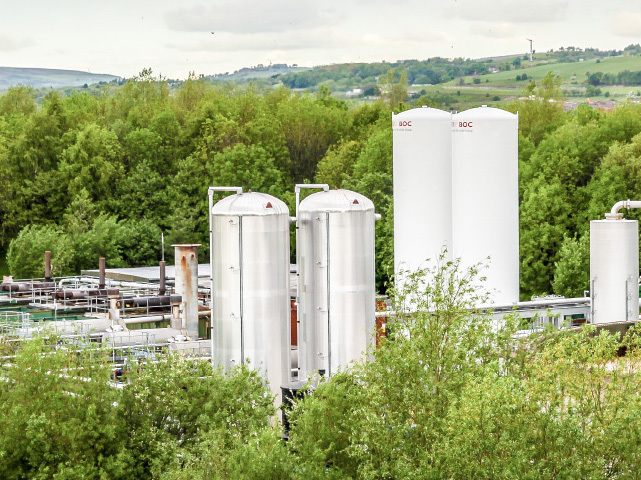 In the UK where the grid must be kept balanced within +/- 1% of nominal 50Hz system frequency, a hybridised cryogenic energy storage plant can meet the requirements of National Grid’s Enhanced Frequency Response (EFR) and Firm Frequency Response (FFR) services. This technology can be transported to electricity markets globally. To install a Highview Power plant, we develop a bespoke plan for each of our customers depending on their needs. We always work alongside our development partners and suppliers to enable delivery of a fully integrated solution. We source the component parts of our technology from well-established OEMs to ensure that our plants have the best possible equipment in place, with proven lifetimes and performances.